Do NOT guess – MEASURE ! 1. Telorism (C)* (distance/separation of paired structures). 2. 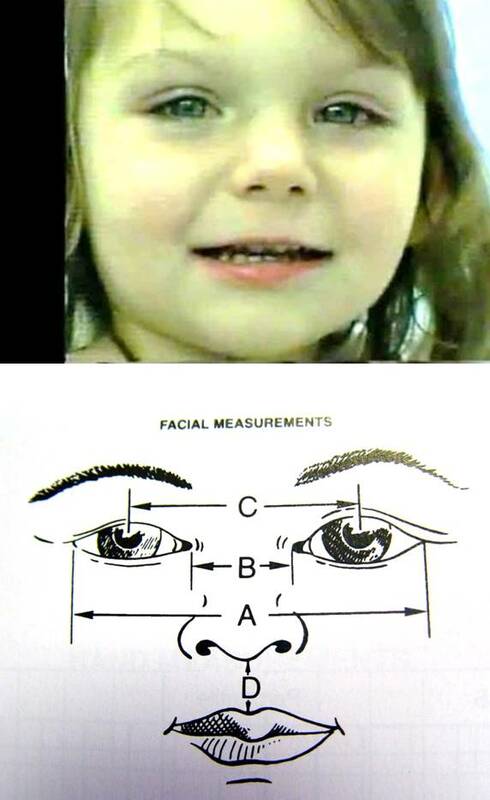 MEASURE Palpebral Opening (A – B). 3. Nasal tip to upper lip vermilion** distance (D). * Telorism refers to a distance between paired structures. **Vermilion – lips red mucosa (similar hue to a earth-worm or mercury sulfide known as cinnabar). There are two additional companion pearls (Clinical Dilemma – “Genetic Counseling”; Function and Structure).